Have you been trying to figure out what to cook up, well you have found the perfect companion for your kitchen I introduce to you “The Mega Recipe Bonanza”. This mega recipe bonanza collection contains over 170,000 recipes and is a recipe lover’s dream. This huge collection of recipes contains a variety of high quality e-books. Imagine for just a moment cooking for your family and friends mouthwatering food that they just can’t get enough of!!! The following is just a small listing of the recipe e-books contained in this package. Pastries and bread recipes, Chinese and Japanese recipes, Cajun and creole recipes, Chili and related recipes, Side dish recipes, Indian recipes, chicken, beef, and pork recipes, Seafood recipes, Pasta recipes, Sauce recipes, Desert recipes, Ancient Roman recipes, Medieval recipes, Miscellaneous recipes, Pet recipes and so much more!!! Salad recipes, BBQ recipes, Indian recipes, Professional pizza recipes, Italian recipes, Mexican recipes, Crockpot recipes, 205 smoothie recipes, 475 Gift basket ideas, 90 Cheese cake recipes, 131 Ice cream recipes, 250 bath and body recipes, 100 beef jerky recipes,125 kid’s recipes, 250 gift jar recipes, 140 dog treat recipes, 75 Amish recipes, Coca Cola recipes and so much more!!! All the recipes if purchased separately could cost you well over $500.00, but you could have them all for just $19.99 and when you order today I will also include master resale rights to this entire collection!!! Your taste buds will love you and so will your bank account, everyone loves and buys recipes!!! 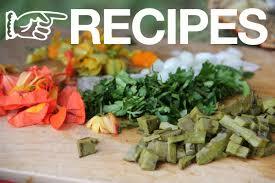 This is the world’s largest collection of recipes for your personal use and financial gain!!! This popular collection sells itself and will cook up buckets of dough!!! Comes with book covers, images, sales pages, and more!!! For your copy of this bonanza with unlimited duplication rights click the buy now button today!! !